I took my street bike out today. Yes, it’s Memorial Day Weekend, but there’s seldom traffic on Colorado Highway 92 from US Hwy 50 at Blue Mesa Dam, up to Crawford, Colorado. The weather was picture perfect and my 1994 Yamaha Seca II performed delightfully well. 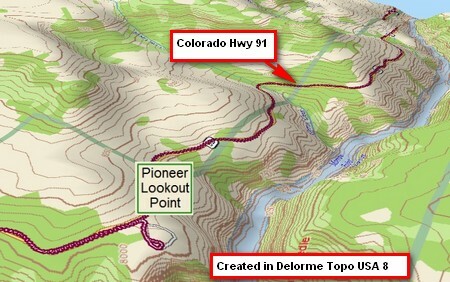 To emphasize how sheer these canyon walls are, look at this 3D reconstruction of part of the GPS track. And, there is no vertical exaggeration. Yep, that’s right! 1:1. Click on image for larger view. Use browser's back button to return. 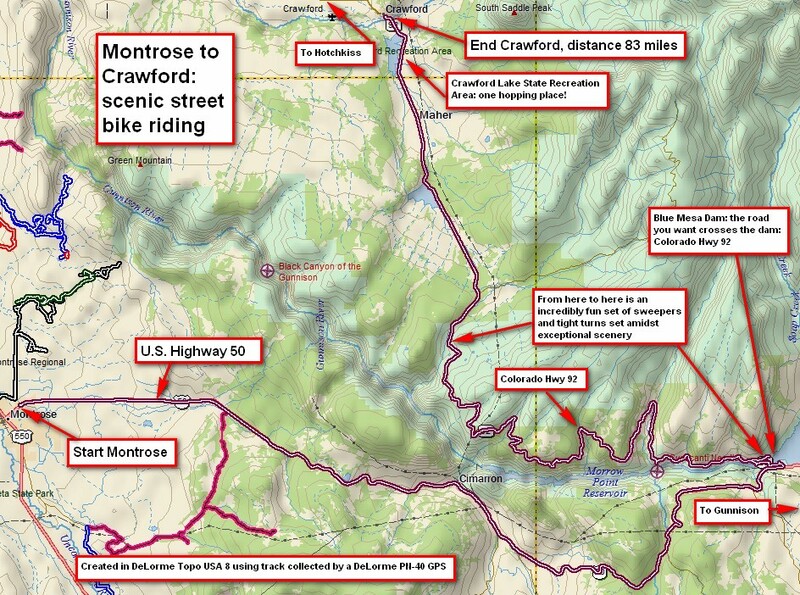 This GPS track shows the 83 mile route from Montrose to Crawford. My Seca II is a sport-touring bike, meaning the seat is comfortable and the power band wide, yet it can perform in the corners. And there are lots of corners! A word to the wise, however: there are lots of blind corners—take these cautiously as you don’t know what’s around the corner. Rocks, gravel, water, even people! There are several turnouts with particularly stunning views. Note the sheer cliffs. 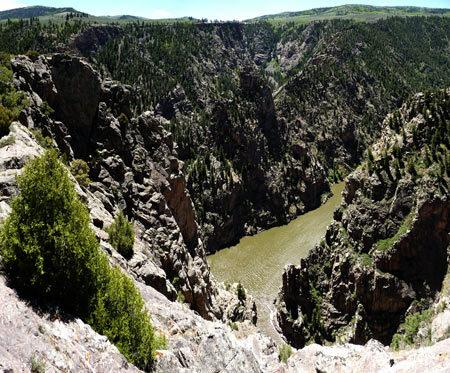 A few miles downstream the Gunnison River enters the Black Canyon of the Gunnison National Park. Note the sheer cliffs. The vantage point is a good thousand feet above the river. As far as road conditions, both US Hwy 50 and CO Hwy 92 are in excellent shape. Make note that Hwy 92 is chip-sealed. While the road is now mostly completely clean, here and there you’ll find just a bit of loose gravel, usually right in the center of the lane. I didn’t see a lot of this, but I did see some, so I planned my cornering speeds accordingly. 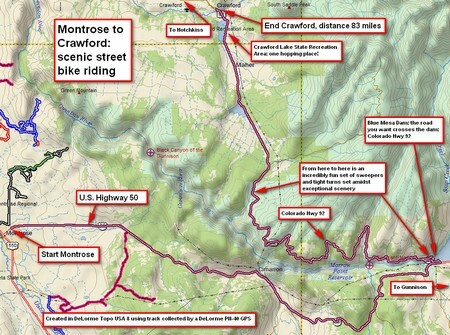 This entry was posted in Delta County, GPS Tracks, Gunnison County, Montrose County, Motorcycling. Bookmark the permalink.